In the midst of the negative TV ad onslaught in Iowa, an interesting fact emerges. During the Iowa caucus season not a single negative ad was run against Massachusetts Governor Mitt Romney. Such has been the course of this campaign. The Non-Romneys bitterly rip each other apart hoping to take on Romney one-on-one. When Romney sees a Non-Romney passing him in the polls, an independent expenditure committee, Restore our Future, funded by unlimited contributions by Romney's Wall Street corporate friends, including money from 10% of this country's billionaires, swings into action funding a flurry of negative ads tearing down the candidate who had the temerity to pass the ex-Massachusetts Governor in the polls. But when it comes to Romney, the Iowa Caucus winner has consistently received a pass when it comes to negative attacks. 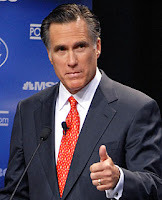 Romney should be incredibly popular in his own party since he has not faced the negative ads others have faced. But Romney is not popular...his support in the GOP has been stuck at 25% since, oh, about 2006. Imagine what the result in Iowa would have been if if Romney faced the barrage of negative commercials that Newt Gingrich faced? Romney's negative attacks, or rather those of Restore Our Future, which is not at all connected to Romney's campaign (yeah, right), might have awakened a bear in Iowa. 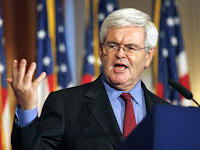 Post-Iowa Gingrich is vowing to end Romney's free pass and begin hitting him with negative advertising defining him as the unprincipled flip-flopper who thinks he can buy the nomination. While Gingrich may have lost the nomination in Iowa, he can do the Republican Party a favor by exposing Romney for the person he is. It is about damned time.